Stop rubbing your eyes, fanboy, they don't deceive you! Everyone's favorite Merc with a Mouth stars in a new series, hacking and wisecracking his way across the Marvel Universe with guest-stars galore! 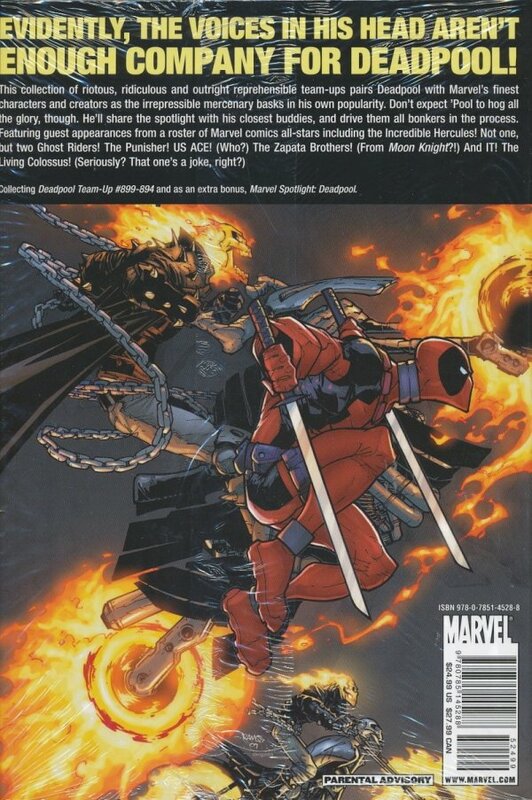 First up: when master assassin ARCADE and NIGHTMARE, Lord of the Dream Dimension, join forces to destroy Wade Wilson and THE INCREDIBLE HERCULES, they get more than they bargain for, taking on two of the MU's most irresponsible heroes! 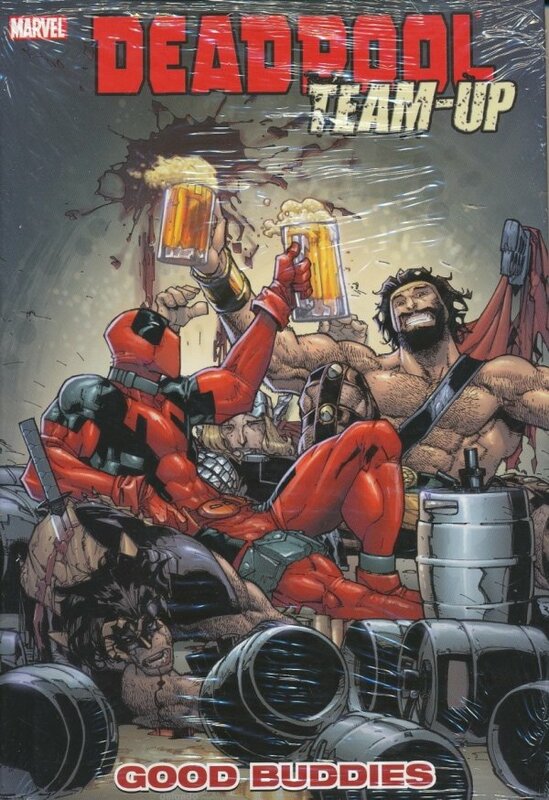 Then, watch as Deadpool meets up with the Zapata Brothers, everyone's favorite pair of Mexican-wrestlers/bounty-hunters. Plus, FRANKENCASTLE! Also featuring the working-class villainy of THE HIGHWAYMAN and TWO Ghost Riders!